When traditional ratchets simply won’t fit in the space available, a finger ratchet (also called a thumb or gimbal ratchet) is a lifesaver. Sure, it’s true that even the best finger ratchet is only going to prove useful in a limited number of applications. But if you don’t have room for a ratchet head and handle (as is the case for most modern car engine bays), these are the best tool choice available. Keep in mind that you’re losing leverage with a thumb drive, so you’ll never be able to get the same torque with one as you could achieve with a full sized or flex head ratchet, but this inexpensive gizmo can save a lot of time, frustration, and bloody knuckles. Measuring only 1 -1/2 inches in size, we believe the SK 45172 is the best finger ratchet for the money. It features a 3/8-inch drive for compatibility with commonly used sockets and a 60-tooth design (not 36-tooth as some product descriptions state) that allows you to work in extremely close quarters. 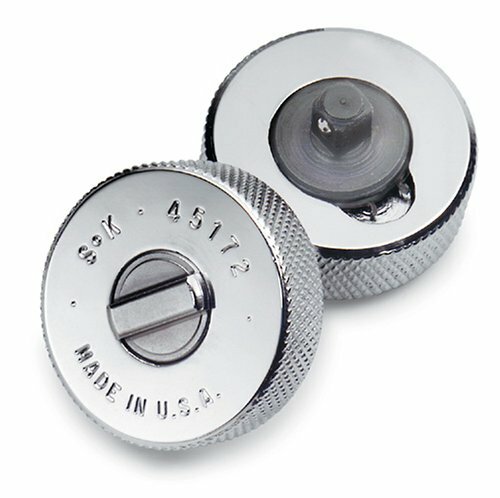 Diamond knurling means that you will be able to get a grip on the ratchet at every stage of the operation so that you can do more with less hassle. Another great feature is the fully enclosed ratcheting system which can be easily removed and replaced. Since a 3/8″ drive is not suitable for every nut or bolt, you would do well to purchase a 1/4″ socket adapter as well, a much cheaper alternative to purchasing two separate sizes of thumb ratchet. And since SK tools, including their high quality socket sets, are made in the USA, you are assured of a quality tool at a reasonable price. Be prepared though, this is a very small tool, designed for jobs that cannot be done with traditional tools. 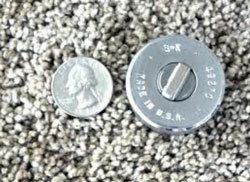 If you are expecting a large ratchet, you will be very surprised when this thumbwheel ratchet arrives. Another warning, if you are purchasing for the replaceable ratchet mechanism… it will cost almost as much to replace the mechanism as to replace the entire tool – and tool replacement requires far less time and effort. If you think the best thumb ratchet should use the more versatile gimbal design, the GearWrench 81270 might be a better choice. In layman’s terms, the gimbal design allows the ratchet to pivot from side to side for even better access in cramped quarters. Additionally, the 72-tooth ratchet design means that you can use the 81270 in even the most difficult places, as long as you have at least 5 degrees of ratcheting movement available. For use in professional automotive work, this tool is ASME certified. 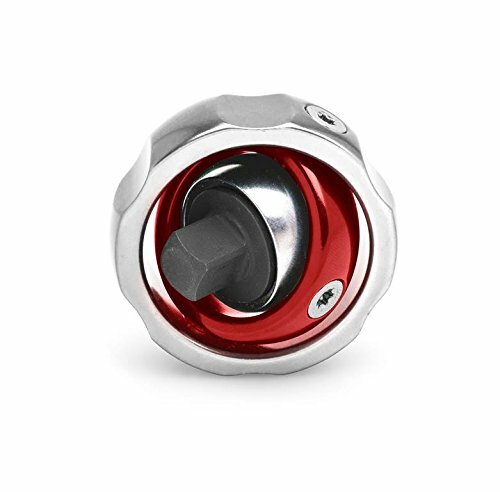 As with any thumbwheel ratchet design, you won’t be able to get a lot of torque on the fasteners you use, a fault of the small size, not the engineering technology. Additionally, those who are dedicated to American-made tools will be disappointed to discover that this handy tool is made in Taiwan. That said, GearWrench is a favorite brand of professionals and its top notch quality is the reason why. Both of these are handy to have but the gearwrench is nowhere near the same quality and quite fiddly to try to generate much torque with. In other words when torque is so limited because of the size and hand use, the SK will get the job done quicker and easier except in the rarest of odd/tight locations. Excellent points Dave. Appreciate the comment. Agreed about the quality. The Gearwrench is good but SK is hard to beat (although you’ll pay a premium). The decision is tougher on other tools but we’re only talking a few dollars difference here.